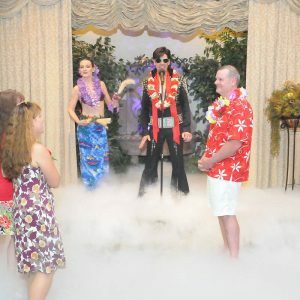 If you love Elvis, there’s nuthin’ like our Hound Dog Wedding. 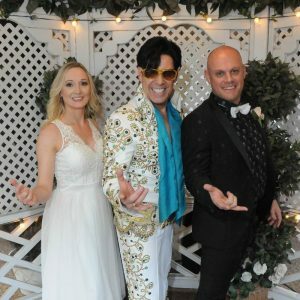 Our enormously popular Las Vegas wedding stars Elvis, who sings one song and performs the wedding ceremony. 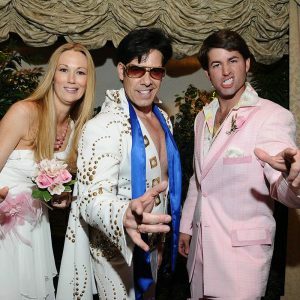 Quick, simple and fun vows with Elvis are just the thing if your guests or family are cryin’ all the time at weddings. 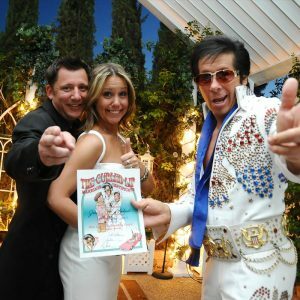 Getting married by Elvis has never been easier! 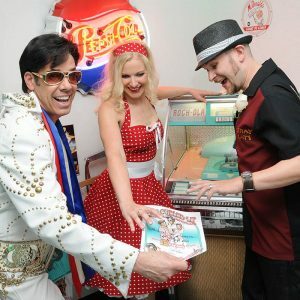 The Hound Dog Wedding Special Las Vegas wedding package includes the use of our candlelit, memorabilia-filled Elvis Wedding Chapel, Witness, Stuffed Animal Hound Dog Keepsake, 4 candid ceremony prints, personal Wedding Coordinator, Two Rose Presentation for the Bride, Names in Lights on the Marquee, Chapel Fee, Free Wedding Website and Wedding Invitation. 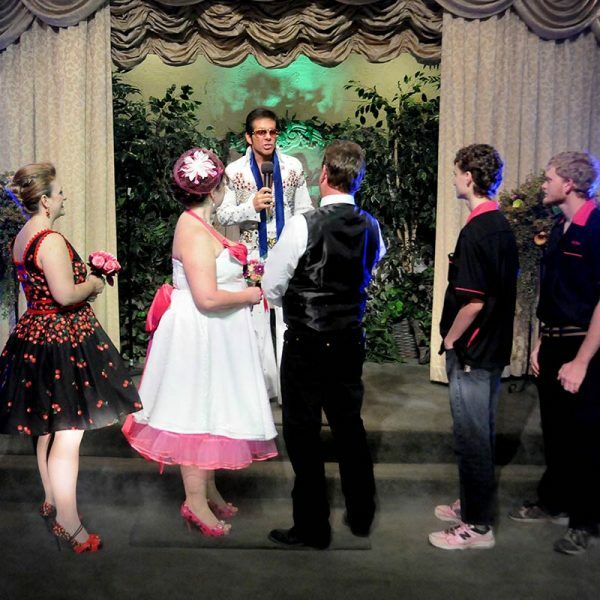 The Hound Dog wedding accommodates 15 guests or fewer. There is no minister fee required for a renewal of vows ceremony. If you choose to have a legal wedding ceremony, an additional $60 (cash only) minister’s fee is required. Photographer gratuity is at your discretion. A $100 non-refundable deposit is due at the time of the booking. No hand held cameras or phones allowed, unless a Media Pass is purchased for $75.00. A Media pass allows you and your guests to take photos or videos, from their seats, during the ceremony only. After the ceremony is over, it is a closed photo session. Candid photos are the photos taken during the ceremony. Posed photos are photos taken after the ceremony. 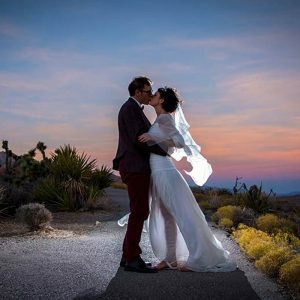 Photos included in your wedding package can only be selected from the Candid photos. All photos are available for purchase. Should you need to cancel a wedding package that is under $600.00 in value, there will be a non-refundable deposit of $100.00. 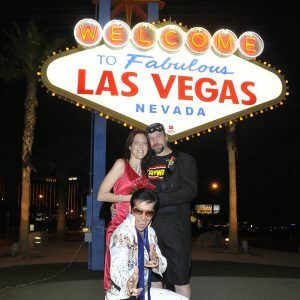 Wedding packages from $600.00 - $1,000.00 require a $200.00 non-refundable deposit. Packages from $1,000.00 - $2,000.00 require a $500.00 non-refundable deposit. We ask that you call the chapel for deposit information on packages over $2,000.00. 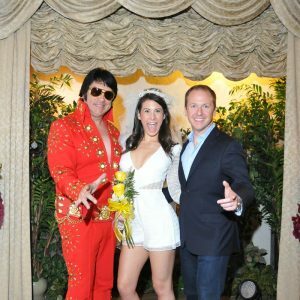 All deposits held at the time of cancellation may be applied to any wedding rescheduled at a future date at Viva Las Vegas Weddings. The total package amount is non-refundable if your ceremony is canceled within 48 hours of the scheduled ceremony.